The 64th Alaska Science & Engineering Fair event will be March 29-31, 2019 in Anchorage, Alaska. Online Registration for K-12 Alaska Students: All participants must register online at least two days before the science fair. Registration Night – Project Setup: Friday, March 29, 2019. Friday, the day before the judging event, 5:00PM–8:00PM, at the Northway Mall. Registration Night is when you submit your paperwork, pay the entry fee (the fee is waived for online registrations received early! ), go through the safety check, set up your project, and receive your Science Fair T-shirt. Senior High students must also turn in their paperwork for their final Scientific Review. Arrive any time between 5:00PM–7:30PM. Allow approximately an hour to register. Please do not arrive early. 5:00PM tends to be the busiest; try a little later for faster registration times. Late registration is available on Saturday morning only for those students who meet the following criteria: 1. The teacher/chaperone has notified the Science Fair Director of the late registration; 2. The student has done an electronic registration by noon on Thursday (the day before Registration Night). Awards Ceremony: Sunday, March 31, 2019. 1:00PM. Duration approximately 2 hours. Note to High School students: High School students, please do your paperwork before you begin your research. Your eligibility for the top prizes depends on having your paperwork in order. See the 2019 ISEF and local forms here. You may also find the ISEF forms at the International Science & Engineering Fair (ISEF) site: https://student.societyforscience.org/intel-isef-forms. Prepare for your project’s safety check! When you set up your project at Registration, it must have a safety inspection. These pages extracted from the Safety Inspector Training slide show (1.3MB PDF) describe items that may not be on your project display. You can use items such as glass tubing, vinegar, and plant soil during your research, but please don’t bring such items to the science fair. Take pictures of them! Put the pictures on your display. 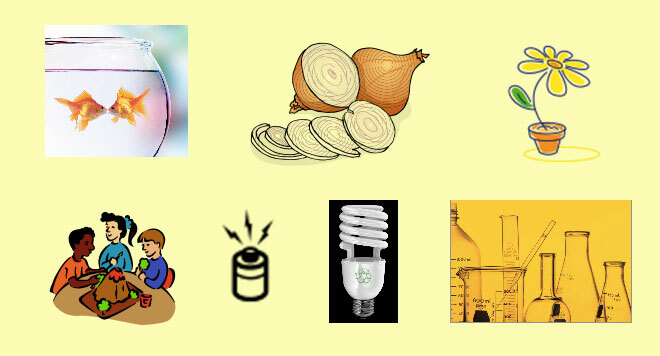 Do you need these “unsafe” items at the science fair? No! Do your project ahead of time. At the science fair, describe what you did. The judges care that you can express your understanding of your project; they do not need you to reproduce the work in front of them. Objects like these belong in a picture on your display board. Do not bring them to the science fair.